The ankle region is padded for extra comfort. To prevent rubbing, the calf area is cushioned. Twin loops for easy access. Anti bacterial insole with dual density seat region for shock absorption. 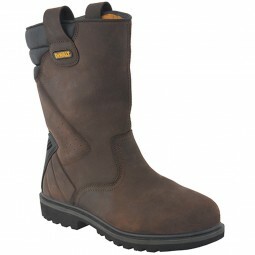 Steel mid sole for under foot protection. PUR sole resistant to 300ºC.